Breast cancer is a heterogeneous disease, manifesting in a broad differentiation in phenotypes and morphologic profiles, resulting in variable clinical behavior. Between 10 and 20% of all breast cancers are triple negative. Triple-negative breast cancer (TNBC) lacks the expression of human epidermal growth factor receptor 2 (HER2) and hormone receptors; therefore, to date, chemotherapy remains the backbone of treatment. TNBC tends to be aggressive and has a high histological grade, resulting in a poor 5-year prognosis. It has a high prevalence of BRCA1 mutations and an increased Ki-67 expression. This subtype usually responds well to taxanes and/or platinum compounds and poly (ADP-ribose) polymerase (PARP) inhibitors. Studies with PARP inhibitors have demonstrated promising results in the treatment of BRCA-mutated breast and ovarian cancer, and PARP inhibitors have been studied as monotherapy and in combination with cytotoxic therapy or radiotherapy. PARP inhibitor efficacy on poly (ADP-ribose) polymer (PAR) formation in vivo can be quantified by pharmacodynamic assays that measure PAR activity in peripheral blood mononuclear cells (PBMC). Biomarkers such as TP53, ATM, PALB2 and RAD51C might be prognostic or predictive indicators for treatment response, and could also provide targets for novel treatment strategies. In summary, this review provides an overview of the treatment options for basal-like TNBC, including PARP inhibitors, and focuses on the pharmacotherapeutic options in these patients. No funding was provided for the preparation of this article. Jill J. J. Geenen, Jan H. M. Schellens and Jos H. Beijnen declare no conflicts of interest. Sabine C. Linn received a research grant and study drug (olaparib) for the REVIVAL study (NCT02810743), and is a member of the advisory board for olaparib in breast cancer (paid to institution), Dr. Linn also has a patent (means and methods for molecular classification of BRCA-like breast and/or ovarian cancer). 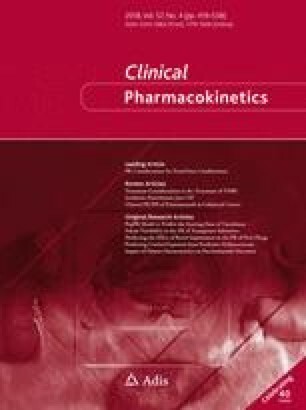 Nuthalapati S, Munasinghe W, Giranda V, Xiong H. Clinical pharmacokinetics and mass balance of veliparib in combination with temozolomide in subjects with nonhematologic malignancies. Clin Pharmacokinet. 2017. doi: 10.1007/s40262-017-0547-z.